South of the Malecon, Conchas Chinas is an exclusive neighborhood in Puerto Vallarta. 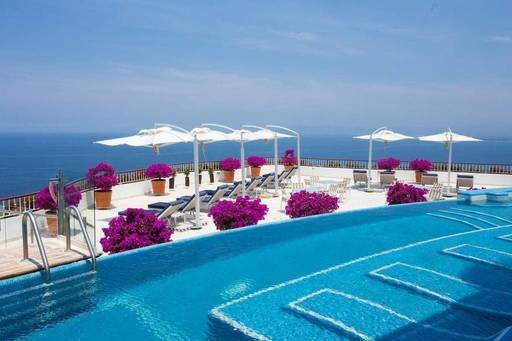 Here, from the highest point in Puerto Vallarta and Banderas Bay, Grand Miramar All Luxury Suites & Residences enjoys an incomparable panoramic view of the Pacific. This is the privileged setting for an experience of luxury and distinction in Puerto Vallarta, Mexico. "Miramar" translates as "sea-view" or "look at the sea." The view is spectacular from every spacious suite and villa.